FastStone Capture is a well known lightweight yet powerful screen capture and screen video record tool with all rich features. You can easily record fixed regions, freehand portions, rectangular parts, full screen, menus, particular objects and windows using this software tool. The best thing to know about FastStone is that it assists users in recording of all onscreen changes ranging from mouse movement to microphone speech signals and the results can be finally saved to a compression video file. The captured files can be directly transferred to editor, clipboard, email, file, printer or even to work or PowerPoint document as per need. It is also possible to upload results directly to websites using internet. The editing tool is highly featured as it can assist in application of edge effects, watermarking, sharpening, cropping, resizing and in adjustments of other useful highlights. Some of the impressive features of FastStone Capture includes its screen ruler, screen crosshair, screen magnifier, color picker and it also extends support to few popular external editors. The resulting files can be saved to PDF, TIFF, TGA, PNG, PCX, JPEG, GIF and BMP file formats. You can use a 30 day trial offer to access this software whereas fully featured version is available with payment of $19.95. This software possesses limited support and help facility, you can contact professionals via email only. There is no doubt to say that Filmora can fulfil all basic as well as advanced screen recording needs of professionals and beginners. It’s easy to access interface along with all interactive features make it best software for routine needs. The recording feature can be accessed for free whereas the resulting file not even contains any watermark. It never poses any restriction on recording time. The effect store of Filmora contains lots of filters and animated elements that can be used to create customized results. It can be used to merge videos together and editor can be applied on clips easily. 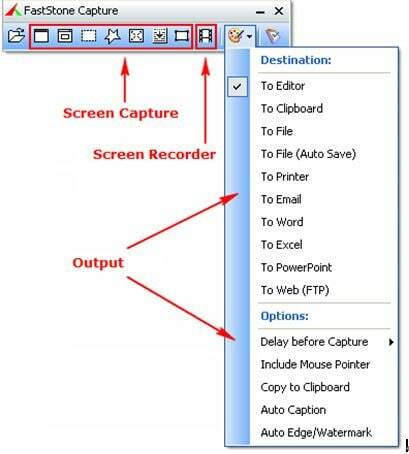 ScreenFlow screen recorder allows users to capture any portion of monitor with ease. No matter whether you are working on iOS device or using a video camera, this software tool can easily pick signals from your microphone, computer audio and even from multi channel type audio device. The editor window is really user friendly with all advanced editing tools like transitions, animations, music, text and images. It is possible to share files over social media platforms like YouTube, Wistia, Vimeo, and Facebook etc. whereas copies can be easily saved on Dropbox and Google Drive. The end files are saved with M4V, MOV and MP4 formats. ScreenFlow is being popularly used by educators for development of video lectures and tutorials whereas gamers also access it to capture wonderful game events. It is also rated as an impressive marketing tool. 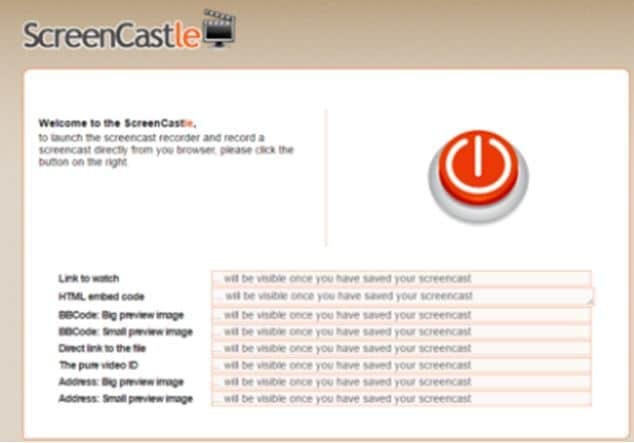 If you are in search of a program that can develop simple screencasts but you need not to install any configuring software on your system then it is good to move ahead with ScreenCastle. It can fulfil all your recording needs from its Java Based Web Browser connectivity. It is quite simple to execute, you need to open the website and hit the red button available on screen. It will immediately launch the Java Control application and now you can select any portion or the whole screen for recording as per requirement. It is also possible to select audio input from microphone during recording. There is no restriction over video length so you can keep on working for hours. But note that the lengthy sessions will naturally take more time for uploading. This free web based application needs a web browser with added Java Script support. Here is a 100% free screen recording solution for beginners as well as professionals. It allows users to record healthy communications via video and the results are always saved with fine details. These videos can be easily shared on other platforms via email and can be uploaded to social media platforms like Facebook etc. 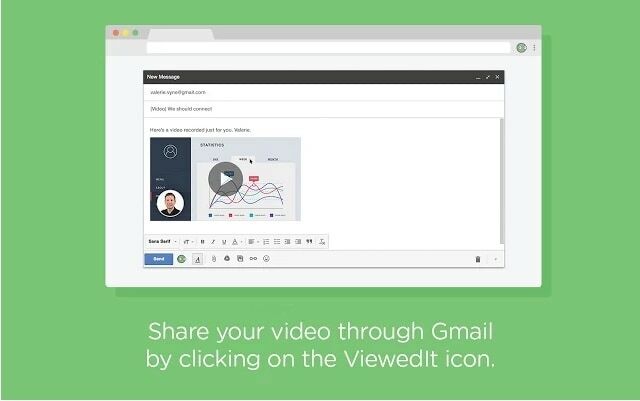 You will also be able to get notifications as your video goes viral. It offers HD video quality with its forever free version and can work perfectly on Mobile as well as Desktop systems. Maximum supported recording time is one hour whereas users are able to develop unlimited videos using Viewedit. The storage offered by this highly interactive software tool is unlimited so you can enjoy video recording for long run with ease. This software is being popularly used for sales applications, by product designers and developer as well as for creation of tutorials.